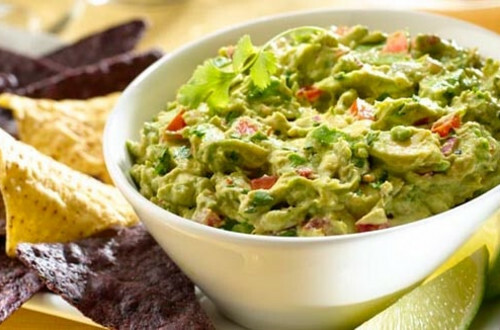 Our chipotle guacamole dip recipe is a twist on traditional guacamole. This chipotle guac recipe has it all, blending spicy chipotle peppers with creamy avocados. Try it with tortilla chips, or inside a wrap. 1 Combine lime juice and Knorr® Chicken flavor Bouillon in small cup and microwave at HIGH 20 seconds or until very hot. 2 Combine with remaining ingredients in medium bowl. Serve, if desired, with tortilla chips or your favorite dippers. See nutritional information for saturated fat content.